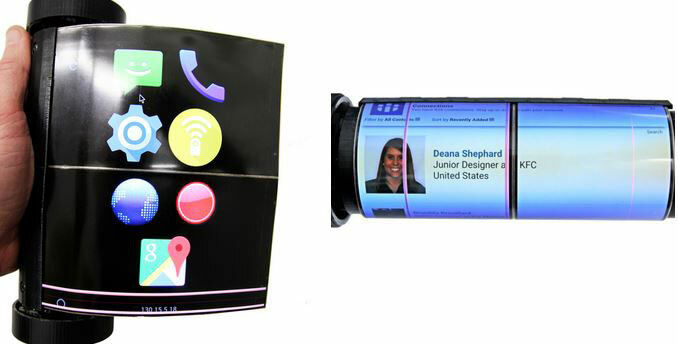 We have heard about rollable and flexible smartphones and tablets a lot in the past. While companies are exploring these ideas, you can’t buy a decent one yet. MagicScroll from Queen’s Human Media Lab demonstrates how such a device would work. It is a roll-up tablet with a flexible 7.5″ 2K display and 3D printed cylindrical body. 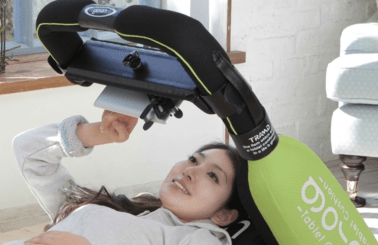 The device has two rotary wheels to let users scroll through information. The display can be unrolled to function as a tablet display. This also works as a phone or dictation device. As the makers explain, this device also has a camera that allows the MagicScroll to be used for gesture control.